Banner ads and MPUs (often referred to as display ads) are a staple in many digital marketing strategies and spend on display ads was expected to grow 7% in 2017. For many brands, though, such ads just aren’t converting well enough. Getting your banner ads right can be a fantastic way to drive brand awareness, and customer acquisition. Follow these steps to improve your banner ad ROI. Banner ads are not all about the click-through. Users just aren’t typically in the mood to interrupt what they are doing by clicking on a banner ad. However they are influenced by what they see. Banner ads measurably influence the performance of digital marketing, but not always through users clicking on the ads. Look to measure how banner ads are impacting the conversion journey via post-impression metrics (users that have seen your ad). View-Through conversions (i.e. the conversion rate of users who have seen the ads, not necessarily those who click on them) can also help in understanding if your banner ads are having an impact on conversions. Furthermore, if you can run isolation tests comparing groups of users who have seen ads to those who haven’t to understand the impact of your display ads on your bottom line, you can get a much clearer idea of their true value. Inject excitement and intrigue into headline with captivating copy. You need to grab attention from the get go with your banner ad. You’re competing with a very full space on a range of screen sizes, so your headline needs to grab attention and get straight to the point. Tell consumers exactly what you can offer them. The first question you need to answer for your consumers is “Why buy?”. Prove to them what makes your product or service unique and unmissable. You don’t have much space to get your message across, so get to the point. Drill in your unique selling point from the start and highlight why your product is the one consumers need to find out more about. Download our case study for a look under the hood of two top British brands’ digital marketing efforts! Creating banner ads that support strong brand recall is vital. You want people to remember which company was offering the product they saw while they were online. Ensure your logo is visible and visually appealing, in keeping with the aesthetic of the artwork. 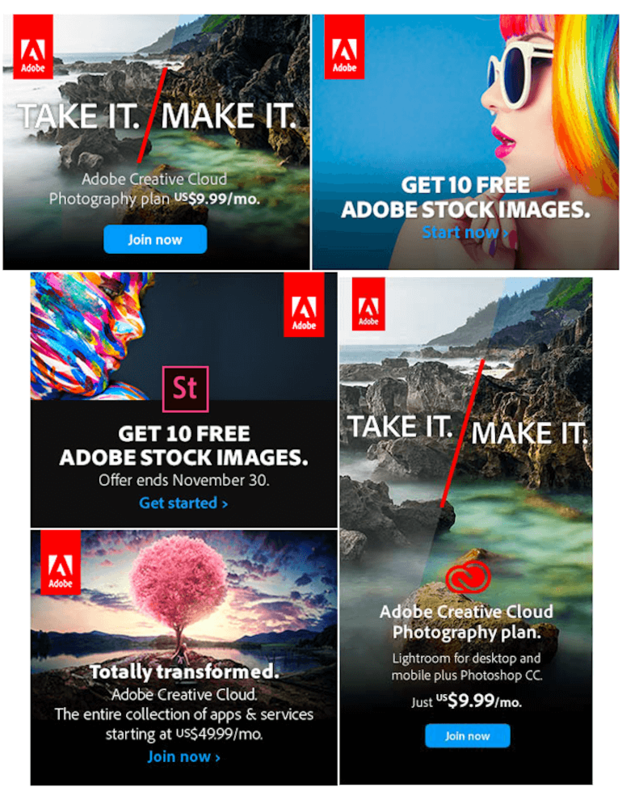 Take a leaf out of Adobe’s book and choose the same placement for your logo in all your ads for consistency. The design of your banner ad is incredibly important for encouraging conversions. Messy, confused or unattractive banner ads will put consumers off returning to your website., even if they are interested in teh product you’re promoting. One study found that 92 percent of online ads aren’t noticed by internet users. Your banner ads need to catch consumers’ attention and visually delight them if you want ot be in with a chance of increasing your conversions. 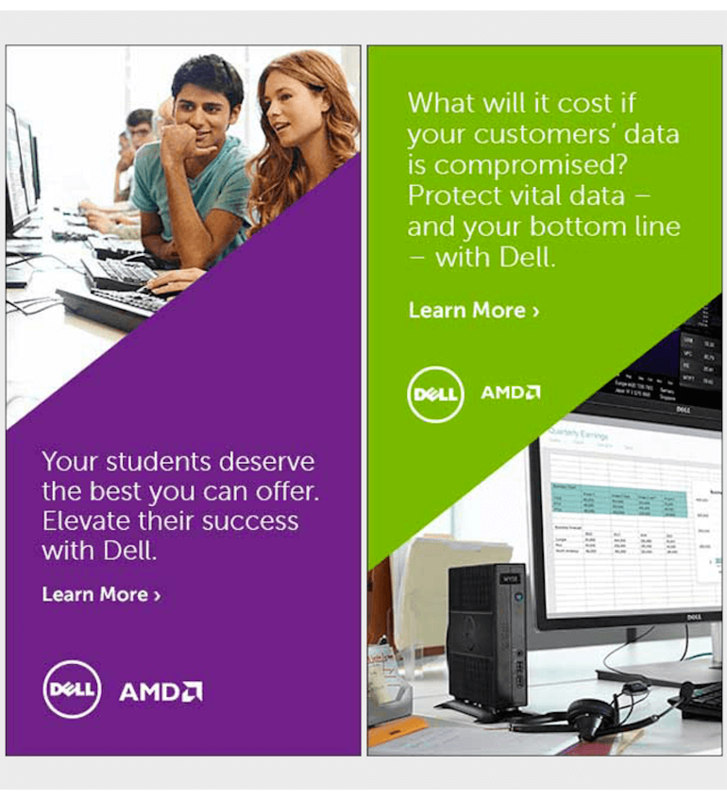 Dell have chosen a simple colour palette and clean design to create visually effective banner ads. Your banner ad should focus in on one particular action that you want your audience to undertake. This should be clear and visible – buttons are a firm favourite among marketers to help with this. Your call-to-action should be short and to the point. Its function is to push your audience through the user journey and so must be explicit in its intentions. Banner ads arenot the time for obscurity and complexity. Your banner ad needs to be completely explicit. To create a successful banner ad, it is imperative that you are specific in what it is your banner ad has to offer. This may be a discount code, signpoisting to a specific product or service, or some unique, brilliant feature of your company that you want your audience to be aware of. Whatever your banner ad is being used for, it must be abundantly clear what clicking through will give your audience – be that discounted goods, a particular product or further awareness content. Banner ads do not typically have substantial space. This limited real estate has to include imagery, copy, and a CTA which means that keeping it simple is more than just a design choice – it’s a wise choice. The Economist’s brand awareness campaign is a great example of simple yet effective banner ads. As ways to buy banner ads and MPUs evolve, ways to target audiences have also dramatically improved. Gone are the days where your only option was to buy directly from publishers. Complex real time bidding and user-targeting algorithms enable much more efficient ad spend. Programmatic buying often gets bad press – so many middlemen taking a cut means comparatively little of your spend goes directly to the publisher compared to a direct buy – but the efficiency it drives means the banner ad’s ROI proves to be significantly better than older methods of buying display ads. Dynamic banner ads can really add to a user’s expereince through personalisation of certain elements. For instance, you can use data from users’ previous site visits to personalise the banner and show products or services they showed an interest in. 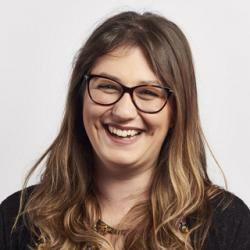 Data sources such as weather, price feeds, and user behaviour can all be used to help personalise the experience to individual consumers rather than showing a generic message to a mass audience. It used to be that each individual iteration of banner would need to be created by a designer, however nowadays tools like Doubleclick Studio and Google Web Designer can be used to generate dynamic templates that can pull in data from other sources. As stated earlier, banner ads don’t work by being interruptive. Users are unlikely to click on them, although some do. More so they work by building brand awareness and embedding value proposition in users who are in market, helping drive those users to your products and services when they are ready to buy. To do this, you need to appear more than once. 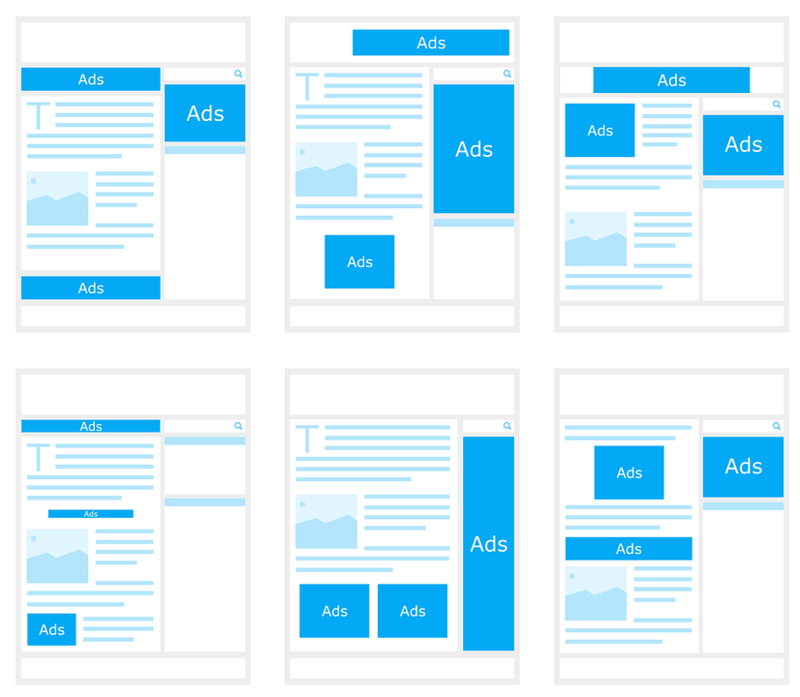 Often users will have seen dozens of your display ads before being ready to buy (and they’ll see ads from your competitors too, of course). This is a tug of war for attention; make sure your ads appear frequently enough to win. A data-driven, tested approach is more likely to prove successful. Be sure to set SMART goals for the campaign and measure success to inform future campaigns. We can’t recommend A/B testing highly enough – the only sure way to improve your campaign strategy and success is to test. So, there you have it. It’s a straightforward formula, but straying can lead to unsuccessful, unattractive banner ads that are ignored – or worse, considered a nuisance. This effective strategy will surely see your improve your banner ad ROI in no time. We’ve written a case study on two British brands with strong digital marketing strategies – download it today to better understand the secrets to their success!